Hi all! Jana here. 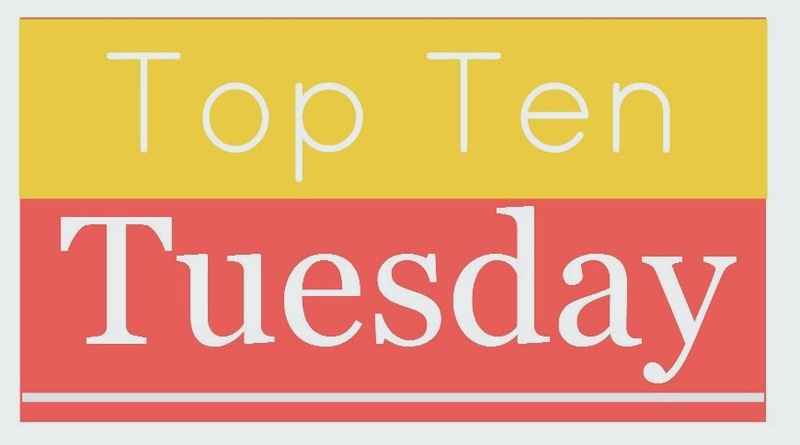 I've kind of taken over today's TTT because I could not narrow my list to just 10 books! As many of you know, I'm the host of the 2015 Debut Author Challenge (read about it and sign up here! ), and I've spent the last few months talking with a ton of authors about their upcoming books and I'm so excited about so many of them! So here are 10 debuts I'm really excited about. Head over to my personal blog for 10 more! Girl wakes up in the truck bed of a moving truck, ends up in a secluded mountain cabin with a serial killer, and escapes with her hunter at her heels. HELLO. Sign me up! Time travel! And the main girl has a stalker! Sounds interesting. "A teen escapes to a boarding school abroad and falls for a Korean pop star in this fun and fresh romantic novel in the vein of Anna and the French Kiss. Told in alternating sections, LAST YEAR'S MISTAKE is a charming and romantic debut about loving, leaving, and letting go." Sounds like a fun romantic contemporary, perfect for beach time! "A fun, romantic read, perfect for fans of Sarah Dessen and Susane Colasanti! "Walking a razor’s edge, calculating every decision, not sure sometimes who she is or what she is doing it for, Violet is an unforgettable heroine, and Pretending to be Erica is a killer debut." "Twelve years ago Stella and Jeanie vanished while picking strawberries. Stella returned minutes later, with no memory of what happened. Jeanie was never seen or heard from again." "Chelsea thought she knew what being a rock star was like . . . until she became one. After losing a TV talent show, she slid back into small-town anonymity. But one phone call changed everything." "...a female Moriarty teams up with her classmate Sherlock Holmes to solve a mystery in modern-day London, until the answers lead him too close to all that she's been hiding." "In a perfect world, sixteen-year-old Phoebe Martins’ life would be a book. Preferably a YA novel with magic and a hot paranormal love interest. Unfortunately, her life probably wouldn’t even qualify for a quiet contemporary. But when Phoebe finds out that Dev, the hottest guy in the clarinet section, might actually have a crush on her, she turns to her favorite books for advice. Phoebe overhauls her personality to become as awesome as her favorite heroines and win Dev’s heart. But if her plan fails, can she go back to her happy world of fictional boys after falling for the real thing?" I had to post the whole book synopsis because YAY! Tell us the debuts you can't wait for!! I am sooooo excited for The Night We Said Yes! OH MAN. Bookishly Ever After sounds soooo cuttttteeee! I am so excited to see which books Phoebe turn to for advice! Not sure if my comment went through earlier, but Bookishly Ever After sounds adorable! Very Excited for the Creeping!! Awesome Post!! Ok, I'm liking the sound of the Creeping too - sounds very, very intriguing!! I almost put Bookishly Ever AFter on my list as well! But I didn't see a cover yet for it, so I skipped it for now. Great list! I just recently heard about Lock and Mori and am already wildly excited about it. There must be a German word to describe a book you didn't even know you desperately wanted to read until you saw it. Time travel? HELL YES. And Lock and Mori sounds really good too! A wonderful list! we have a few books in common this week. I'm excited for The Night We Said Yes. I saw it on goodreads and it sounds sooo good! I love this list! I honestly want to read all of them. So many new books! I only have The Creeping by Alexandra Sirowy on my own list, so I will check the others. It's gonna be an amazing reading year! Noticed 2 more :D But some of your recommendations are SO amazing!! I can't wait for them! Bookishly Ever After??? Oh my yes! I'd have posted the full blurb too... so glad to have heard about this one! Thrilled to be included on this list. Thank you! I was fortunate enough to get an ARC and I was blown away by Ruthless! It is intense! You will not want to put this book down. Ruthless is more engaging than anything else I've read in recent years. I'm already excited to see what her next book is!